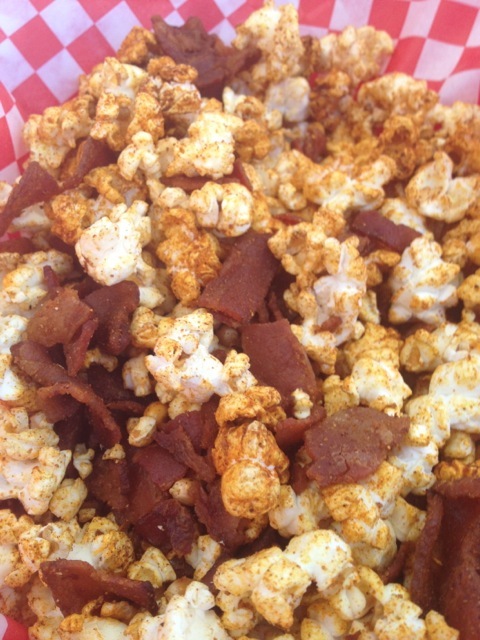 Serve a Snack that they will talk about for weeks, BBQ Seasoned Popcorn with Candied Bacon. Many people underestimate the impact that the right Snacks and Appetizers can make at any gathering. Whether it be a special Family Dinner, Holiday Party, Tailgate or a Backyard BBQ. Restaurants have known this for years. Even smarter Bars are stepping up their game from the Salty Nuts and Stale Popcorn of the past. In the time it takes to break out the Chips and Salsa (or Dip), you could be halfway through creating something special. Whether your diet is vast and Omnivorous or widely Vegetarian and Gluten Free, you can use an all-natural Spice and Herb Blend to wake up the flavor of your Snacks. Not only will they appreciate the extra effort, folks will call you a Genius for choosing the right Blend. POWER Rub contains much lower levels of Salt and Sugars than found in mostBBQ Rubs and Instant Seasonings. There is no comparing the flavor, as few Rubs (if any) taste great shaken right from the bottle. HEROIC! Rub has no added Salt or Sugar and goes great with any pre-seasoned Foods. Use your favorite mode of making fresh Popcorn- Machine, Stovetop, Microwave or Grill. Portion will depend on how many bowls you are serving. You can go heavy or lighter with Bacon depending how hearty you want Snack to be. Some Bacon is sure to “disappear” before it reaches the bowl. 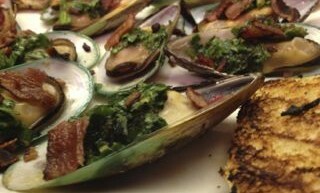 – Preheat Oven to 420 or Grill to Medium High. Mix 2 Tbsp. BBQ Rub with 1-2 Tbsp. Brown Sugar. Coat each strip of Bacon on Both Sides with mixture and lay flat of Baking Sheet, Pan or Foil. – Cook Bacon until Crispy, 10-15 minutes per side, flip halfway through cooking. Look for it to darken and caramelize so you know it is ready. As Bacon cools for a few minutes it will become crispy. – Chop or break Bacon by hand. Mix evenly into Popcorn while seasoning Popcorn with remaining 2 Tbsp. BBQ Rub. Serve and enjoy!